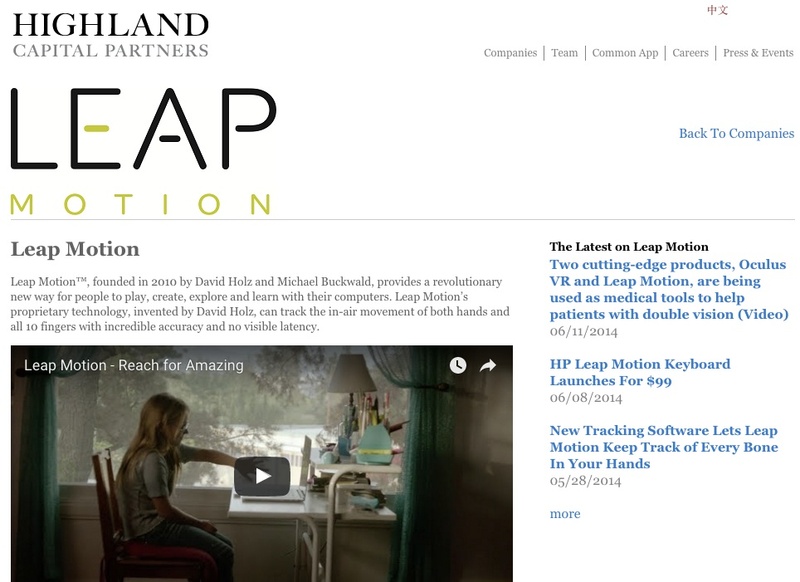 Update the site of a conservative east coast venture capital firm as it sets its sights west. My first UX copywriting gig. 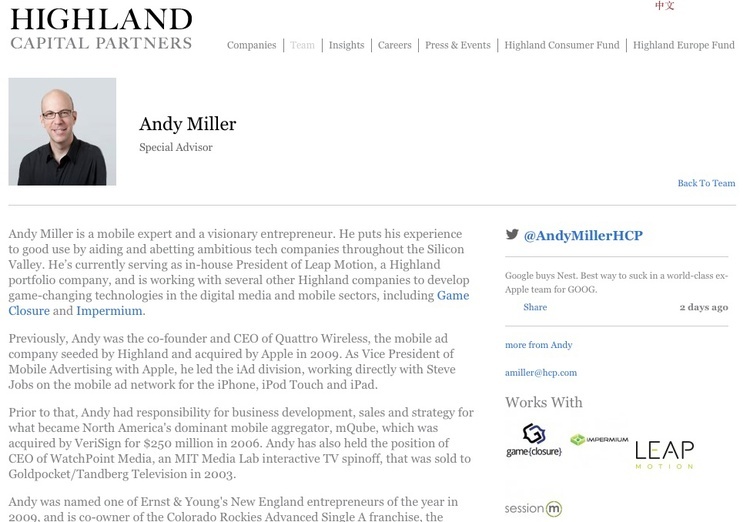 Originally a Boston-based firm, Highland Capital Partners were beginning to invest heavily in Silicon Valley start-ups. Unfortunately, their site (which hadn't seen a facelift since the early 2000's) didn't reflect that. We updated them and refocused their messaging and content on their west coast interests while still reflecting their conservative roots, highlighting successes like Leap Motion and rock star advisors like Andy Miller. We also created a section that let their team lend personal insights into venture capital. It was a labor intensive process requiring completely new copy for the entire site, including complete overhaul of their entire company portfolio and team, from SEO to bios.